I LOVE Dr. Walls and my technician, they’re like family and they take time to know their patients on a personal level. I go twice a year and every time they never fail to ask me about what’s new in my life and reference our last conversation from 6 months prior. My friends look at me crazy when I tell them that I would rather go to the dentist and see Dr. Walls every day for the rest of my life than go to other appointments (i.e. optometrist, doctors, etc). Everything thing runs smoothly at this office .Dr. Walls is a great dentist and his staff is amazing. It's a very friendly atmosphere. Dr. Walls is the most compassionate and competent Dentist I've had in over 30 years. 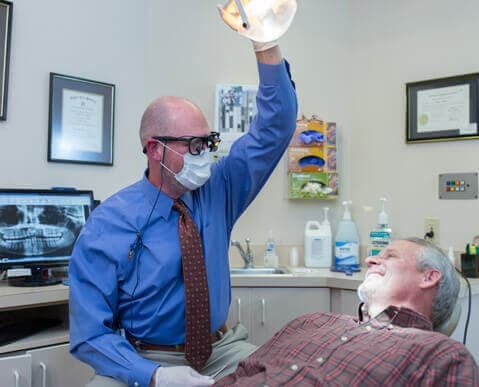 When is the last time you had a dentist that made you feel comfortable? Answer rarely, if never. Well, Dr. Walls is AWESOME! He only tops it with his staff that also make you feel like family from the moment you walk in the office. You are a blessing Dr. Walls and staff. I have built my practice upon the foundation of trust, and trust is built over a long period of time. I believe that dentistry is health care above all else. You should be able to trust your dentist to care for your health and not try to sell you products and services. We try to exceed your expectations with our customer service and quality of treatment. 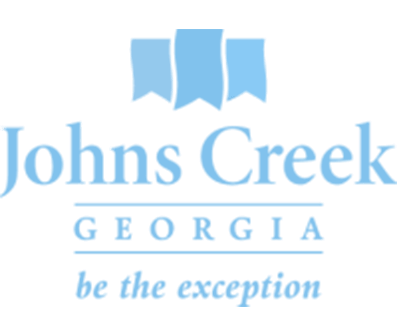 What brought you to Johns Creek, Georgia? 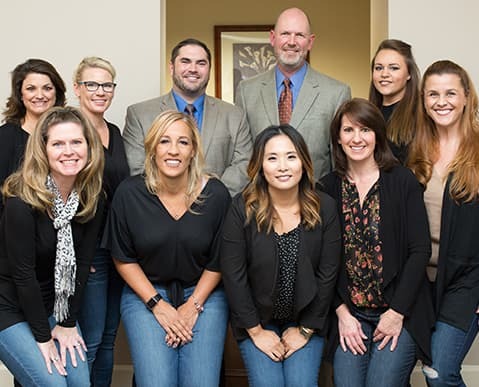 I was the second dentist in Johns Creek when I established my practice in 1994, long before the area became known as Johns Creek. Residential development was just getting started, and it looked like a good area to start a business. What is your favorite floss? My favorite floss is Johnson & Johnson waxed. I firmly believe in patient education and prevention. In other words, I strive to educate my patients on the condition of their oral health and will try to explain any appropriate methods of treatment thoroughly. Because daily home hygiene is so critical to achieving and maintaining optimum dental health, I like to emphasize preventive strategies which have been proven to stop a disease from occurring or advancing. When treatment is necessary, my goal is always to provide the highest quality of care in a friendly, welcoming atmosphere. Shawn A. 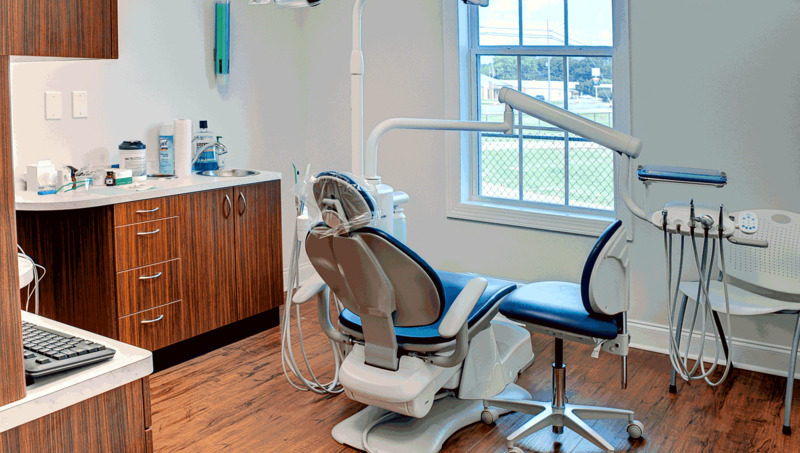 Walls, DDS is committed to helping patients afford their dental care needs. Includes 30 minutes with the doctor to discuss options for replacing missing teeth with dental implants. *X-rays and/or study models would have an additional cost. Includes limited problem-oriented examination and X-ray needed to determine a diagnosis. Treatment options will be discussed. Additional cost for any treatment performed. Includes 30 minutes with the doctor to discuss the patient's desires and treatment options for improvement of the appearance of the smile. If you are coming from State Route 141, turn on to Parsons Road heading northwest. We are located near the American Commerce Bank. © 2019 Shawn A. Walls, DDS. All rights reserved. If you prefer to speak to a team member please call (678) 609-5284. Dr. Shawn A. Walls has been helping families in the Atlanta area since 1989! If you prefer to speak to a team member, please call (678) 609-5284.